On December 7, you have the opportunity to tell the D.C. Council to better protect one of the District’s greatest natural resources – its tree canopy. Next Wednesday morning, Councilmember Mary M. Cheh, Chairperson of the Committee on the Environment, Public Works, and Transportation, will hold a public hearing on the Urban Forest Administration Reorganization Act of 2011 (B19-484). 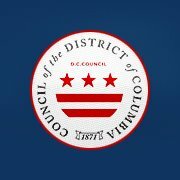 This legislation, introduced by Councilmember Phil Mendelson, is intended to address several shortcomings of the Urban Forest Preservation Act (UFPA) of 2002 that has resulted in the loss of thousands of trees across the District. While we applaud Councilmember Mendelson for taking the lead on this discerning issue affecting the livability and beauty of our nation’s capital, we have proposed seven recommendations to B19-484 we believe will strengthen the proposed legislation and make the UFPA an effective tool in protecting and growing our tree canopy. As a friend, ally and tree lover, we hope you will stand with us on December 7 in support of our recommendations. Your support at this critical time is imperative to keep Washington D.C. the “City of Trees”. Learn more. Our B19-484 devoted webpage details our recommendations and features video and support documents. Attend and testify at the public hearing. Public testimony is optional but helpful. Send a Letter of Support to the Committee on the Environment, Public Works, and Transportation Councilmembers. Download the Letter of Support Template. Tell your friends, family members and peers to attend and submit letters of support. Make a donation to support our advocacy work.